Rick partners with individuals and families to help them pursue their financial goals through the development of long-term financial strategies. Through a personal investing approach, not generic programs, he builds individual portfolios based on each client’s attitudes and goals. Joining LPL Financial in 2018, Rick previously worked with Raymond James, and as a financial advisor with Morgan Keegan and A.G. Edwards. With the industry knowledge and insight that comes with more than 30 years of experience, Rick understands that it takes a personal commitment to each client and prudent risk management to achieve financial independence. His straightforward approach focuses on working together, and accounts for change both in your life and the market to help ensure the plan works with and for you at every life stage. As an Accredited Asset Management SpecialistSM, Rick has completed a course of study encompassing investments, insurance, tax, retirement, and estate planning issues. He adheres to standards of professional conduct and devotes himself to continuing industry education. Most recently, he became an Accredited Domestic Partnership AdvisorSM, after completing a course of study that encompasses wealth transfers, federal taxation, retirement planning, as well as planning for financial and medical end-of-life needs for non-married partners. 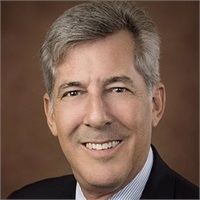 Rick holds a bachelor’s degree from Eckerd College, where he was a founding member of the college’s chapter of the Society for Advancement of Management and a member on the intercollegiate College Bowl team. Rick is a proud member of the Plantation Chamber of Commerce. Rick lives in Plantation with his wife Debbie.